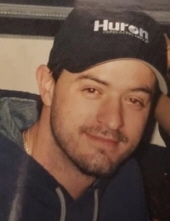 Kevin S. Kosmicki, age 40, of Twin Lakes, Wisconsin passed away suddenly on Friday, March 22, 2019 at his home. Kevin was born on January 18, 1979 in Chicago, Illinois to Frank and Theresa (Netzky) Kosmicki..
Today we mourn the loss of someone that can never be replaced. Our hearts ache for our family, some of the strongest people known. Kevin was someone you'd be lucky to know; and if you didn't know him, we are… sorry. His presence was never unnoticed and the absence of it will never go away. Today is a day where we will laugh and cry with each other, tomorrow will be a day where we hold our hands together in a grief-stricken attempt at acceptance. Kevin was always a happy, loving guy. He is survived by his loving parents, Frank Kosmicki, Theresa (George) Sinatra; brothers, Robert, Frank and Chris Kosmicki; aunt’s, Lynn, Linda, Jeannie and Jackie; an uncle, Joel; and many cousins, friends and colleagues. Visitation will be on Saturday, March 30, 2019 from 10:00 a.m. until the 12:00 p.m. memorial service at Thompson Spring Grove Funeral Home, 8103 Wilmot Road, Spring Grove, IL. 60081. Memorials to the family would be greatly appreciate. For additional information, please call the funeral home at 815-675-0550. To send flowers or a remembrance gift to the family of Kevin S. Kosmicki, please visit our Tribute Store. "Email Address" would like to share the life celebration of Kevin S. Kosmicki. Click on the "link" to go to share a favorite memory or leave a condolence message for the family.